The Migraine Niche is huge. Millions of people worldwide suffer from migraines and it can be quite debilitating. Thousands of migraine sufferers are looking for information to help them manage or get rid of their migraines. These articles can be used on your own blog or website or can be rewritten and then submitted to article directories. If you are in the Migraine niche then these are the articles you need for your business. 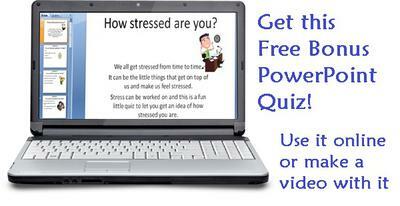 You also get an interactive PowerPoint Quiz about Stress as a bonus to help you create more traffic, visitor interaction, or use for videos to promote the site. Just $7 for the full pack, that is under $1 per article, a very small price to save you the time of writing these articles yourself.